GREAT PIECE OF BRITISH HISTORY UP FOR GRABS! 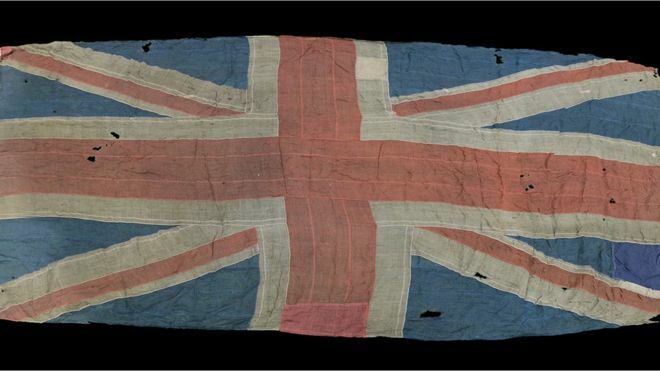 A man from the Vale of Glamorgan is selling a rare union jack flag, said to have been flown at the Battle of Trafalgar. Arthur Cory, 49, said the flag had been kept in a cupboard at Penllyn Castle near Cowbridge, since he was a boy. 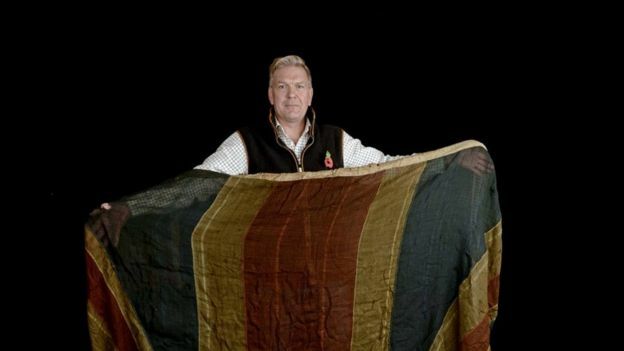 The flag, one of only three surviving from the battle, is expected to fetch up to £50,000 at auction. 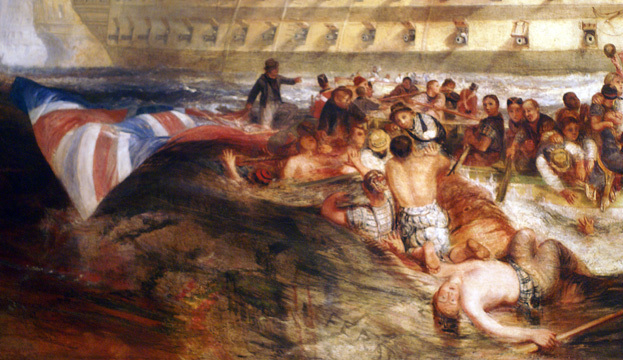 It is said to have flown above Nelson’s warship HMS Leviathan. 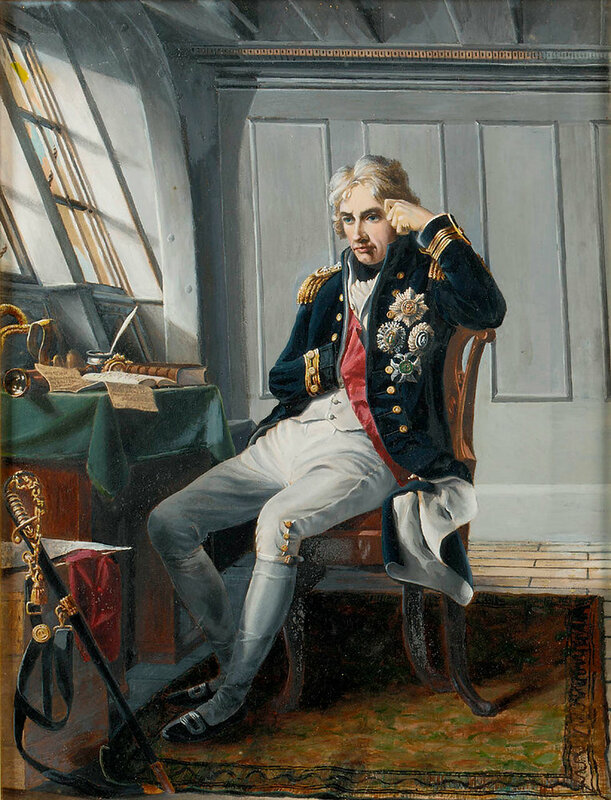 The flag’s “most probable” route to Penllyn Castle was through Mr Cory’s ancestor Nicholas Cory, a rear admiral on William IV’s Royal George yacht, the auction house said. Roland Elworthy, senior valuer at Holt’s Auctioneers, said he had “no doubt as to the flag’s provenance”. A great piece of British History, hope a Museum manages to snap it up. I shall be interested to see what it fetches and were it eventually will belong. 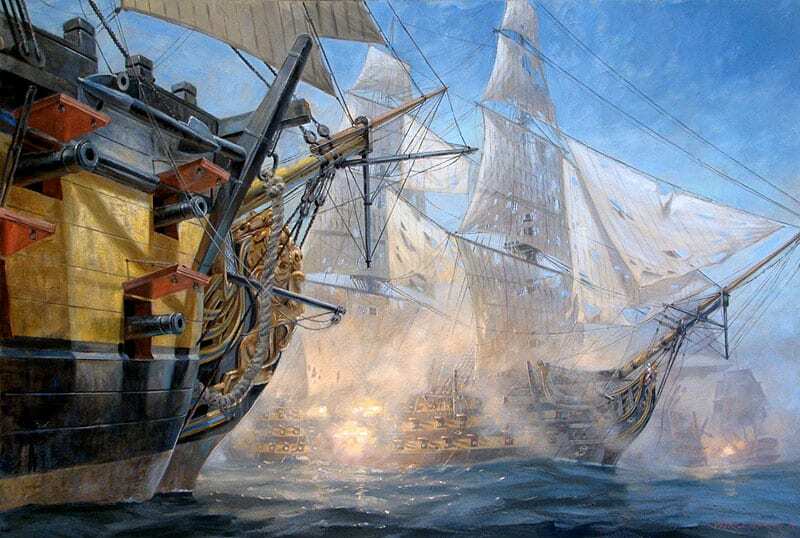 This entry was posted in Blog and tagged 1805, British flad, flag, Lord Nelson, naval history, old glory, trafalgar, Union Jack.